What can an object tell us about society? UVA students explored the role of museums and the challenges in curating public history on both sides of the Atlantic. Students of historian Kyrill Kunakhovich worked with fellow Leonard Schmieding to discuss the power of history, museums, and memorials in shaping our understanding of contemporary society. 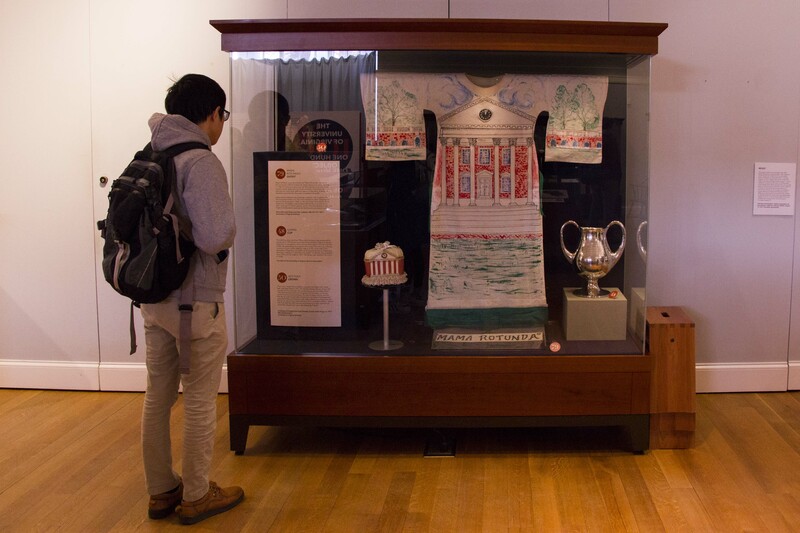 As part of our Transatlantic Partnership on Memory, Responsibility and Transformation, they then visited the exhibit “UVA’s History in 100 Objects” to analyze how it tells the story of the University's past and present. Based on the book Mr. Jefferson's Telescope: History of the University of Virginia in One Hundred Objects, the exhibit is coordinated by the University of Virginia Library as a "Bicentennial exhibition celebrating the history of the University." After visiting the exhibit, students were tasked with answering the University's call for a 101st object to add to the collection. The project challenges students to make critical and socially innovative contributions to the exhibit and to broaden the discourse on memory in present-day America. Students were tasked with creating object proposals for the course and were encouraged to submit these proposal directly to the University. Overall, 26 submissions were submitted. Below is a selection of some of the most compelling student proposals for the 101st exhibit object. 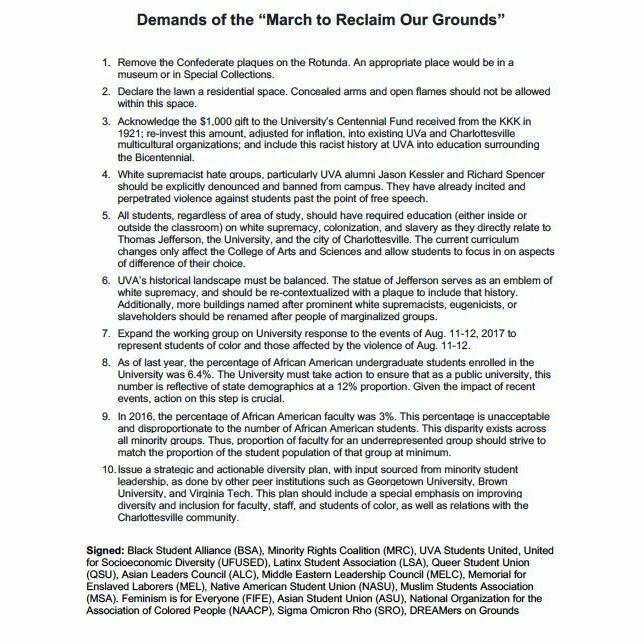 As the University community was still reeling from the events of August 11th and 12th, the Black Students' Alliance on Grounds issued a list of ten demands, simply known as the “BSA Demands.” The list asked the administration to take steps to both acknowledge the University’s history with white supremacy and to increase representation of people of color within the student body and among faculty. Many of the demands have yet to be implemented. But they represent important efforts to get the University community to confront the prejudice that has existed, and continues to exist, on Grounds. I hope this object marks a new era in the University’s history. The fact that it comes on the 200th anniversary of the University only seems to enhance this symbolism. The despicable events of August 11th and 12th put Charlottesville and UVA in the national spotlight. We were invaded by hatred and bigotry, but our community banded together to support minorities. In this past year, we've used our privilege as students and faculty of the University to speak out against white supremacy and neo-Nazism. The most powerful show of solidarity took place on the night of August 11th. A group of students gathered under Mr. Jefferson's statue. 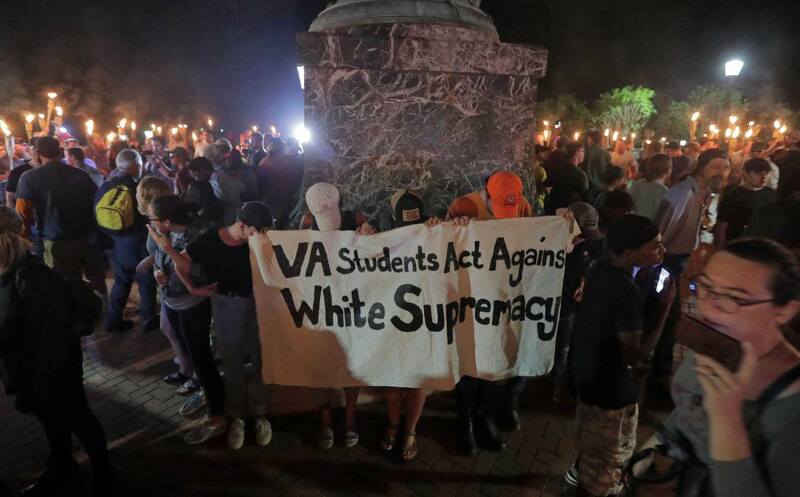 Surrounded by violent, torch-wielding white supremacists, the stuents held up a banner that said, "VA Students Act Against White Supremacy." I think the inclusion of this banner as the 101st object in the exhibit would best represent the current chapter of the University's history. White supremacists, led by Richard Spencer, rallied on the front steps of the Rotunda, chanting the phrases "Jew will not replace us" and "Blood and soil." Thomas Jefferson's statue, a symbol of white supremacy, is what drew them to this location. 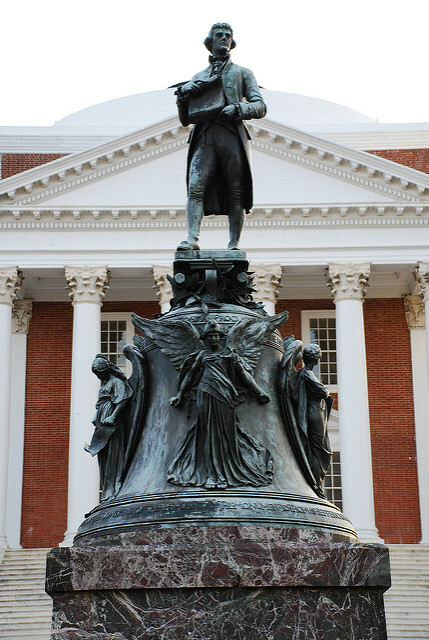 Although Jefferson’s statue stands before the Rotunda in honor of his contributions to this university, placing him on the pedestal served as an invitation for a more insidious narrative. I propose we continue to honor Jefferson's memory by dedicating this statue as the 101st object, off his pedestal, and within the context of his legacy as a white supremacist. I chose the grave of Edwin Alderman because it is an eerie reminder of how the past can creep back into the present. 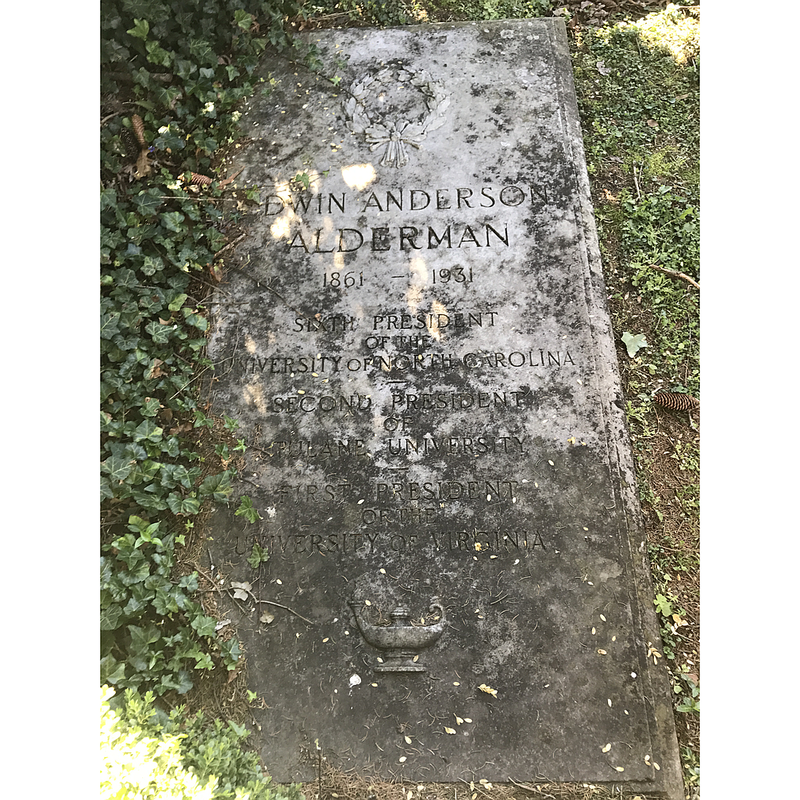 Alderman was a UVA President who accepted money from the KKK and spoke at the welcoming of the Robert E. Lee statue that still remains in Emancipation Park. UVA must not ignore its racist roots if it hopes to understand and correct the current climate. Personally, I believe that the purpose of history is to help us learn for the future. By including an article of clothing from one of the first female students and putting it next to a similar garment from one of the first male students, the contrast in style will be striking. The men's clothing will be obviously outdated, but the women's clothing will be surprisingly fashionable. This juxtaposition will bring attention to an important fact of UVA's history: it was not very long ago that women were not allowed to attend. The hope then is that such a display will help us think about the ways that we discriminate and think in a "backwards way," even today. We propose submitting a diary from one of Thomas Jefferson's slaves, if it exists. It would provide the honest perspective of how Thomas Jefferson treated his slaves, which may shed light on how we perceive him to this day in modern political context. It may also reveal Thomas Jefferson's plans for the University by providing the personal perspective of someone who built it with their own hands. 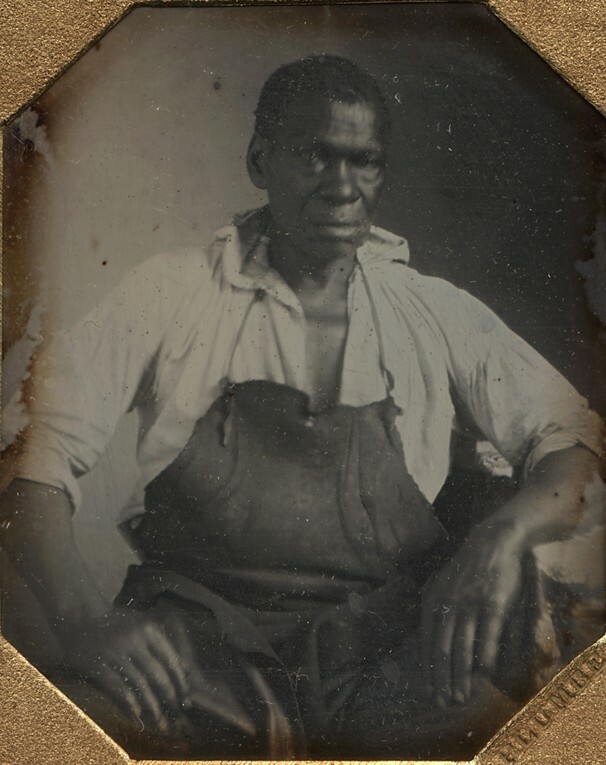 There's a positive narrative perpetuated even today of Thomas Jefferson's treatment of his slaves, and it may be interesting to read whether the first hand account of his slave(s) puts that into question. The Virginian has been on The Corner since 1923 and still remains a popular place for students to eat. 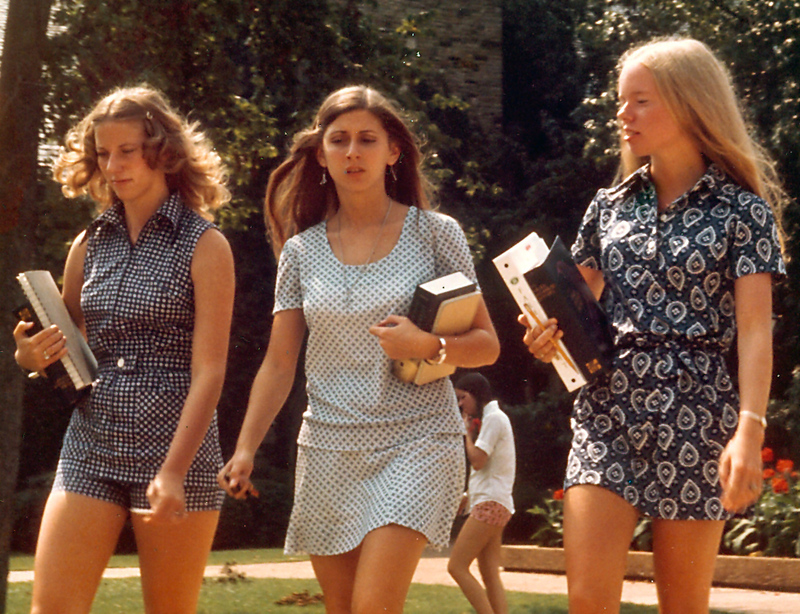 I think that the current UVA exhibit lacked a prevalent presence of what student life was and is like. Adding something historic from The Corner would help show other parts of University life that are not strictly affiliated with the University. Adding the first menu would not only show how The Corner is a historical part of student life, but it would also be relevant to today because both students and professors still eat there today. When I think about my four years here, one event that always sticks out is the Rolling Stone article from fall of 2014. This article came out during my first semester at school. I vividly remember reading the article in the dining hall because everyone around me was doing the same thing. Some people were crying, some looked shocked, some looked angry. But the reason that I'm not suggesting we add the magazine itself, is because what's more striking to me is the efforts afterwards to make sure nothing like that happens again. Green Dot launched the following semester as an initiative to prevent power-based personal violence like sexual assault. 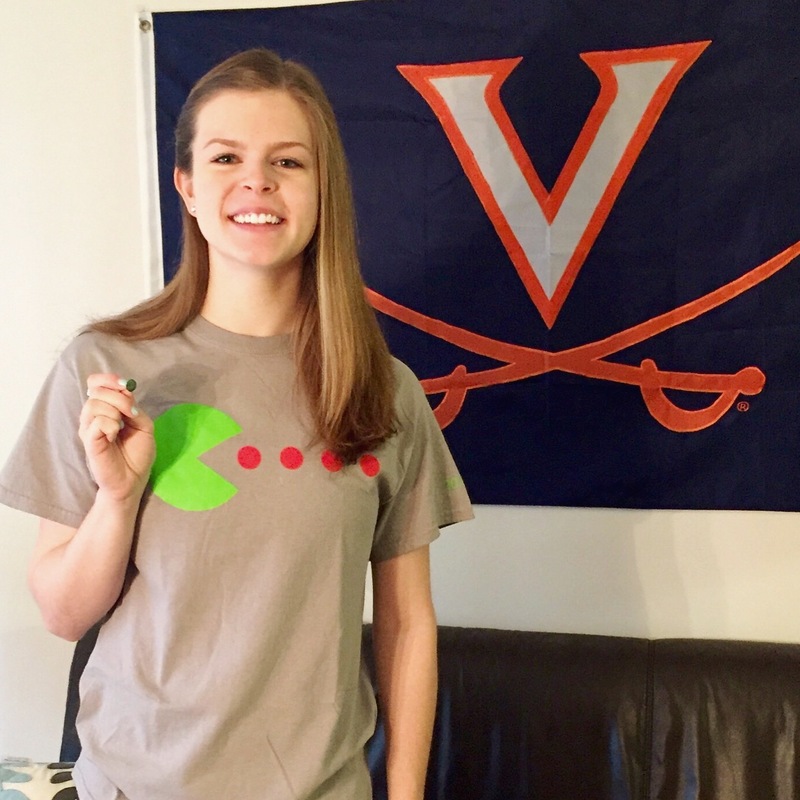 The bystander trainings were empowering and inspirational, and terms like "green dot" and "red dot" have truly been integrated into the UVA rhetoric. 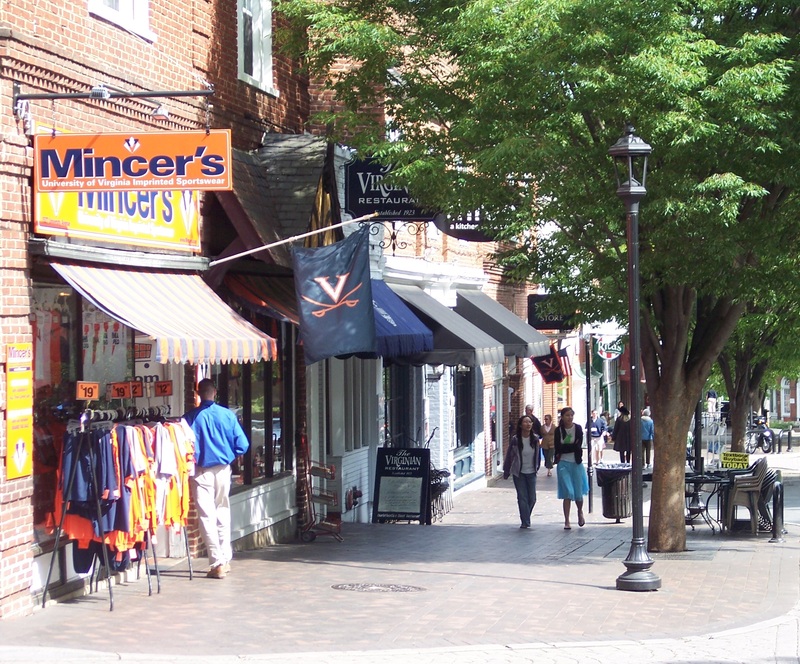 When I think about UVA, I think about a resilient community, not one of fear and shame. That's why I think the best way to represent this important moment in UVA's history is with the powerful way we chose to respond. Created in response to the white supremacist attacks in Charlottesville on August 11th and 12th, 2017, this ongoing project challenges UVA students to work with visiting fellows and UVA faculty to consider how societies teach and memorialize the past. Current UVA students on the violent white supremacist rally last summer and the lasting impact it had on campus. Persuasive propaganda requires powerful imagery. UVA students worked with photographer Marc Erwin Babej to create their own propaganda-like images. Documentary theater director Christine Umpfenbach worked with UVA theater students to create short pieces on the white supremacist attacks on August 11th and 12th, 2017. But what is documentary theater?